Will your intentions put you on the road to heaven? 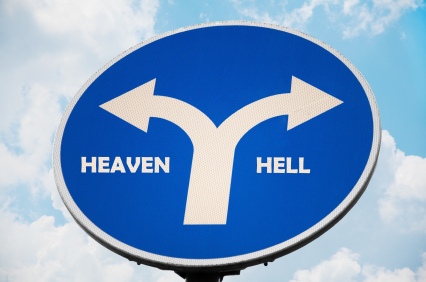 There is a saying “the road to hell is paved with good intentions.” I believe it’s also true of the road to heaven. Your destination is dependent on a well-intended journey. At the new year, most of us take a bit of time to review what worked and what didn’t in the previous year so that we can use the information to create intentions for the upcoming year. I am no different. And, the process produced some insight for me today. Intentions should be something I feel like I have a good deal of control over. If our intentions are dependent on someone else reacting in a certain way to our activities, it can take the wind out of our sails when that doesn’t happen. Better to focus on what you can do or not do. Here’s a few of my examples. There are things I would like to have happen as the result of my regular writing but I have to focus on what I can control. That is my activity. I trust that the results will take care of themselves. Dr. Al Sears developed an exercise program he calls PACE. It is very efficient (20 minutes or less) so there’s really no excuse for not doing it. Still, I have not made it a habit. Again, I would like to take off a few pounds and develop some muscle but the most important thing I can do is just do it! There is a process that I started with my coach designed to identify my primary needs that drive my longings. To live a full and fulfilling life, it’s important that we feel like our longings are being addressed. When that doesn’t happen, we tend to venture into activities that will not produce the results we say we’re looking for. Lots of time spent getting nowhere. I would like specific results from this process but the most important thing I can do is commit to it and the required self-reflection. So, the only thing I can control is my activity. It’s important to be realistic when I’m determining what I can commit to. If I over-commit, I will disappoint myself. Rather, taking action is designed to build my confidence and anticipation. What intentions have you set for the new year? Do you feel confident that your intentions are within your control? When you consider your available resources (time, money, energy), do you feel like you can channel enough resources to fulfill your commitment? Please share your insights and complete the sign-up form so you can receive updates or even participate in the Moments of Aware Appreciation Movement. Appreciation is a powerful tool that helps us create more of what we say we want in our lives.